Great beer and pretzels game that works great for one-shots and plays like a cinematic action spy movie. I especially like the pregame picture collage as an innovative way for the Director (GM) to come up with scenarios. The book is chock full of inspiration and tips to run an action spy thriller. Highly narrative. There is potential for campaign play that i have not yet explored. Only minor quib i have are the Skills. While pretty much self explanatory they don't get a section by itself that briefly explain what they could be used for but i get the idea of what they are used for with all the info scattered in the book. OK -- good and bad. I love the game. The mechanics are simple, the tone and visuals set the mood for the game, the character creation system is quick & allows for unique characters. The mechanics in particular are great -- just roll 4 Fate dice. You have to get more +'s than your rating in the action (1-3, 3 is a poor skill). Extra plusses give success with style, - on the roll give consequences. Cards support narrative storytelling by the players. It isn't a FATE rules system, it just uses FATE dice. An interesting take on cyberpunk genre, although not the kind I was looking for: I get the impression that systems here support only a very particular style of play, while I was searching for something with a wider scope. I still think it is an interesting idea though: testing an emotion every time you want to achieve something instead of standard stats, so I'd like to try it out one day out of sheer curiosity. I also find the language a bit awkward, unnatural - I'm not a native though, so I might be wrong. The Veil is a Powered By The Apocalypse (PbTA) role playing game where the emphasis is put on the emotions the playing characters are experiencing when acting to respond to the fiction. Characteristic of the PbTA games, in the Veil there are no preset adventure modules or pre-planned encounters and we play to find out based on the tools available for the Master of Cerimonies (PbTA for GM) and the players. Gameplay works more like a conversation rather than with turn-based rounds and the game engine kicks in when an action required by the player triggers moves either general to all player types or specific to a given character playbook. The MC never rolls dice and gets to intervene in very specific terms when the fiction demands it or when players roll a partial success or a fail. What most impressed me about this game is the myriad of possibilities that the character playbooks deliver in terms of the existential and societal questions you can enquire. More than a set of cyberpunk heists to retrieve data from evil megacorps, this game has the tools to allow players to define what makes us human and aware by giving a purpose and an agenda to each of the character types. The use of emotion states (mad, peaceful, sad, joyful, scared, powerful) instead of ability stats (hot, cool, hard, weird, sharp) is a fundamental departure from the original Apocalypse World. This allows the players to better establish the intentions and positioning of their characters in the fiction with the aid of an emotion wheel covering 72 (!) possible emotions. The MC side of things is also well covered with detailed tools and game aids to pursue the questions the fiction demands. The writing is clear and a great effort is made to explain the ideas behind the setting. A very good addition to the MC section is the suggestion of how the MC should interact with each of the character playbooks to fully engage the player and include the input of that playbook in the fiction. On the slightly downside, I would like to have seen a more concise and schematic procedure list for the 1st session like other PbTA games (e.g. Apocalypse World, MASHED, Night Witches). Instead, there very few details in this chapter for the MC side of things and the description of the playbooks is included in here. Given that most likely only the MC is going to read this before the 1st session, more pointers to how to setup and carry out a successful 1st session should be in here and the playbook description elsewhere. Contrary to most opinions I've seen elsewhere, I find the art in the book sightly off putting. Although the visual artist has a good grip on colour technique and succeeds in setting the dark urban mood, the drawing of the human figure is not up to overall good standard of the book, with the characters portrayed in stiff poses and with clear errors of perspective and proportionality in human figure drawing. The take home message: this is a great game for a mature audience interested in switching between fast-paced action and interpersonal and introspective existential questioning in a future probable where cybernetics and AI can deeply change how we perceive the world. Movie night: Blade Runner, Ghost in the Machine, The Matrix, Mr Robot. We had our first session yesterday and I am now ready to give my two cents about this book. When I first saw that The Veil was on Kickstarter, much good feelings got into me. The Cyberpunk genre was always calling out for me, but the only option I had in my bookshelf was Shadowrun 5, a game for which I don't have all the MIT certificates required to run a few games. A new era was finally about to start. The Setting: I must say that at first, it was a little confusing because I really tought that a setting was more or so already included in the book. It must have been discussed while the campaign was running, but to be fair, I didn't really followed all the multiples threads on KS and on G+ to get the devellopements. There is a little exemple within the MC section to explain what a game based on Neuromancer's setting would like, but that's pretty much it. After the shock, I came to understand that The Veil is actually a toolbox in which me and my player could forge (or... cyberforge I guess) the exact type of cyberpunk world we wanted to explore. My players got a little confused by this aspect, but quickly got into it. It was easy to just pick elements from Blade Runner/Soldier, Ghost in the Shell, Brinks and, believe it or not, some elements from the Super Mario Bros. movie and just create a world in which everybody was comfortable to play. The playbooks: Here's what I think is the best part of this game. All playbooks from the core book (and the coming Cascade book) are openly design and/or based on classic character/thrope from the extended cyberpunk genre. When you start reading one, you immediatly get what's the jazz around it and begin having ideas about what you could do. The job the authors did creating thoses that my players really got a hard time choosing what they would play (personnaly, The Empath and the Catabolist would have been my dilemma). It brought a lot of excitement around the table and that's always a plus in my book. Where I must use one of my Hold is about how they appear in the book. Well, they do not. A chapter of the book covers in details the elements/moves of each playbooks but the only reference you can get to validate how those manifest in the book is a really small picture on which it is hard to properly read the info. Knowing that Urban Shadows kinda did the same thing and that the playbooks were are online in a separeted PDF, I did some probing and managed to get them easily. The editing Ok. I lied. I did followed a little bit the updates regarding the developpments. Samjoko Publishing had a little confusion with their printer, but to be fair, even if a few things sometime appear a little weird in the book such as having reference to pages in the book looking like an hyperlink on a web page (underlined and blue), but the rest of the job is well done. It breath, it is easy to read and even if there is to glossary at the end, the index in the begining does a great job helping people to get where is what. The book is not much flooded by illustrations, but I saw this as a choice going toward quality instead of quantity, which is always better in my opinion. To fill the blank, a clever use of citations was done which helps setting an overall tone around the cyberpunk genre. Understandability This is were my review will aquired the " messy " tag. When it comes to explain the specific concept of the playbooks, moves and such, everythhing is close to flawlessly done. There is always an exemple to put you in context and get what's the jist of the said move/playbook option. Hell, you even sometime get two examples which is always welcome! The only thing my player didn't really got and for which we had to houserule was about the Interface in the cybernetics part of the playbooks. We came to a conclusion in which it was the way you access the Veil and the Digiscape, but we may be wrong. Now, where it lacks a few good things when it come to understand how to play this (in my opinion), is when it comes to the generals. At some points, the authors seems to take for granted that the reader will have red the original Apokalypse Book. As an exemple, the Executive playbook has an option in which the board for which he or she works is also a threat of the Cult type, which does not appear in the book (but probably does in the basic Apocalypse book). Also, creating threats can be sometime a little hard and a few good exemples of threats could be welcomed for Apocalypse noobs as we are. Altough, it is far from being a deal breaker. Just take for granted that you may have to interpret a few details in order to run your game. In conclusion, The Veil is a good book and I recommand it. It brings very good ressources to play the game the way you want. Those who have been fans of Urban Shadows should definitively have a look to The Veil since a lot of good points from it were used to write this RPG. I personnaly look foward to read Cascade since I know the authors will manage to bring to a ever better level (and who knows, perhaps get their 5 stars!). Thanks for this game and now, if you could please excuse me, I have some Giri to keep track and some threat to create for next week. Great game! Takes the PBTA engine and presents an open toolbox for creating cyberpunk stories. I love that the playbooks are broad archetypes that evoke familiar cyberpunk tropes. Enough ties to fiction to provide touchstones for characters and story, but lots of freedom to, as the author says, create your own cyberpunk. The Veil uses an intriguing twist on the PBTA archetype, using emotional states for stats driving the moves. The game feels much more personal than other RPGs in the genre, much more about the characters stories in a cyberpunk world. The author has been on a number of podcasts talking about the Veil, and I recommend checking them out, his POV is fascinating, and he is eloquent in explaining the nuances of his game. I highly recommend this game for fans of cyberpunk of all flavors, as the game will support nearly every variation. As an aside, the author has been stellar in supporting this game. On the google+ community for the Veil, he is very active, responding to questions quickly and positively. Great all around! I've been looking for a good superhero RPG based on the Apocalypse World engine. Luckily, there have been quite a few in the past couple of years, with this and Masks releasing. I've only gotten a chance to try this game out very recently, but I have to say that I'm sad that I missed the opportunity to play this sooner. I'm going to skip the discussion of the Apocalypse World Engine proper. You can read any review of Dungeon World or Apocalypse World itself to get that. What I will say is that the moves for Worlds in Peril are pretty tight. Push is an awesome way to further develop your powers in play, as commonly occurs in superhero stories. And you can see from the way the moves are structured that the writer was taking a direct page from Apocalypse World itself... Takedown and Seize Control are not just reminiscent of Go Aggro and Seize by Force, I'd argue that they are more concisely written than the first edition versions of those moves. The only move I have complaints with is Aid or Interfere, but I'll get to that later. The biggest spot this game shines is in how powers are handled. The Power Profile is one of the best ways that any supers game has handled superpowers, period. It's far more flexible than Masks, and much more narrative and less restrictive than games like ICONS and Mutants and Masterminds. That powers continue to expand during play thanks to the Push move is awesome. The four categories of Simple, Difficult, Borderline and Possible go a long way to defining what is and isn't easy through your character's abilities. Impossible defines hard limits to your power. This is great, because it emphasizes what makes the Engine so wonderful; description is often more important than numbers are. Drives and Origins are a neat replacement for the playbooks that other PbtA games have, and they work out really nicely. 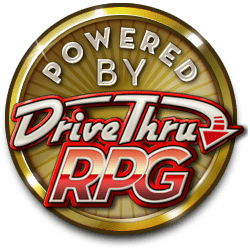 Drives replace character advancement mechanics from other games by making so that your characters motives, and how they push to fulfill those motives, give them the means to increase in power elsewhere. Advancement seems a bit slow in this game (as you need to be moving towards resolution of your drive moves to gain Achievements; nothing for failure, using a highlighted move, or any of the other sort of things that might gain you experience in other such games), but since powers develop naturally through the Push move anyways, it's not so debilitating... your character still matures, just not as broadly. Conditions are also a great way to detail injury in a superhero game, and I'm glad that Worlds in Peril used them. They're much more flexible than the tag-based damage system from Masks, and such flexibility is necessary when dealing with truly bizarre supers concepts; an undead hero probably won't be as hampered by a broken arm as Spider-Man would, for example... so it would make sense that one character's minor condition might be another's moderate or critical condition. This was my favorite part of Venture City, and it works just as great here. Now the bad part: Bonds. Bonds in other games tend to portray something about your character in relation to other characters. Apocalypse World's Hx represents how much your character knows another character; bonds in Dungeon World represent debts or motives your character wishes to resolve in regards to another character; strings in Monsterhearts represents emotional leverage your character has on another character, and so on. All such things represent something about YOUR character, in relation to another one. Bonds in Worlds in Peril represent another character's feelings about your character, and this inversion of the relationship complicates the game needlessly for multiple reasons. The obvious being that players at my table often were confused about the values on their sheet; it was very counterintuitive that they had to reference someone else's character sheet in order to find out whether they liked that character or not. They would often find themselves almost acting out of character and aiding someone they apparently detested, and not realizing it until the other player pointed it out. Furthermore, Aid and Interfere's effectiveness is entirely based on whether the character likes you, not whether you like the character. One superhero can easily help a character he detests, as long as that character is in love with them. In the opposite, you'll have a hard time assisting someone you love if they can't stand you. All in all, this very much detracted from play. I ended up having to houserule out the Bond mechanics and steal Hero Points from M&M and Hx rules from AW to fill the gap. One last problem I had was not with the game itself, but one of the documents: the epub version of the book has a CSS glitch that makes it unreadable on my mobile device. The CC version of the epub works fine, it only seems to be problematic on the final version. Overall, Worlds in Peril is an amazing supers game with some excellent game mechanics and a rich structure for superhero play. The one mechanic I found not to work does not reduce this in the least, as it would be a shame to skip past the amazing Power Profile mechanic, or the Drives and Origins. Hopefully there will be a second edition, or a major revision to the game to address this. That said, don't be afraid to give this game a chance. I haven't ever played Apocalypse World, but I have loved Dungeon World. I loved how it turned everything I kew about role playing on its head and making it really really fun in the process. When I saw that there was a super hero game with the same game engine I bought it. The way powers are defined in Worlds in Peril is so awesome. You basically define what the power is in general and then list what is easy for your character to do, what is difficult, more difficult and what is completely beyond their abilities. Characters can also try to do things with their powers that they haven't done before by pushing their powers and may even gain new abilities.. this system is so much fun, and it really works, but most of all, it seems to feel the ways powers work with comic book superheroes. Another interesting aspect of the game that I would like to point out is your ability to burn bonds. Bonds are characters relationships, the higher the bond, the more than person or orginization likes you. This can of course be useful for things like getting the police to help you, or maybe you just have a girl friend. But when push comes to shove you need to spend those bonds to impreove rolls. The result is a very Spiderman / WB superhero. When I first read the rule I didn't much like it, but when you realize that the whole point of the game is to tell a cool story, and for that this mechanic really works. This game is good, unfortunatly, it could have been amazing. The game suffers from what I can onlu guess is a lack of play testing. There as lots of rough areas. The new stats that Worlds in Peril uses as well as its consequence system (the way damage is handled) don't really work too well. Overall if you like the Dungeon World/Apocolipse World and superheroes, I'd say give it a buy. For all the things in this game that don't work the game itself does. After ever season of this game I am amazied at how much fun I had despite some rough patches in the rules. Beautifully presented with comic-book quality art throughout, this is a product that does everything it can to immerse the reader in the genre from page 1. While the writing style may feel rambling and excited at times, and a few elements could use clarification (character creation in particular), this only served to ramp up my enthusiasm for the game, as I often get this way when describing a new system to friends. And what a system it is! Taking its' cues from the wildly (and justifiably) popular Apocalypse World, Worlds in Peril presents us with a world of heroes & villains locked in physical battles for the streets of the city, and mental and personal battles with the life behind the mask. Very few games have successfully touched upon this element of the genre, and fewer still do it with such class and effortlessness as WiP. This is a game where you genuinely can be torn between taking down the villain or saving the hospital his goons are terrorizing, because that's where the villain put your girlfriend during his last attack! In my opinion, as with AW, a lot of trust between the GM and the players is required to make this work, because of the emphasis on narrative over number-crunching, but if you're one of those lucky people, like me, who has a group he's been playing with for years, they'll eat this up with a spoon. I run my first game next week, and we're already excited. I'm looking forward to seeing where this system, and its author, goes in the future. I predict great things. Worlds in Peril is surprisingly well done, with rules that help emulate all sorts of superpowers without needing a ton of specific rules describing each and every power (and modifiers that change how those powers work.) It’s elegant, and focused more on telling a good tale of do-gooders punching bad guys than emulating physics by any stretch. Character creation is a breeze, mechanically, but may trip up a few people who aren’t used to building specifically from a concept. As a game built around the Apocalypse World rules, the mechanics are a simple 2d6+Stat roll with results based off a chart depending on which Moves your character is doing. It’s very different from the games I’m used to running, so the ease of play took me by surprise. My biggest concern about the rules would probably be the Limitations. The way that they are used is simple enough to understand, but I had to work very hard with my players to get them to understand how Limitations to a character work and how they work with Bonds. Aside from that, the rest of the rules run well. Worlds in Peril looks great, with wonderful art and good, readable layout. There are a few bits where the writing could be clearer, but after a few re-reads and a one-shot or two I was able to get everything else in order in my head. If you’re looking for an easy to learn (and fun to play!) superhero game, and you don’t mind a rules-lite approach, definitely give Worlds In Peril a try. Very nice! Been a while since I've been this interested in a superhero game! Thanks to Runeslinger for the heads up in his video on this. I own several supers games and I am happy to add this one to that list. The art is well done and reminds me of several comics from the seventies and eighties. Apocalypse Engine Games are becoming more common and this is definitely an excellent adaptation and iteration of that system. The incorporation of the Bonds mechanic adds a lot to this game and emulates social conflict in the comics genre quite well. Using bonds as in game currency integrates the "Choices have Consequences" and "With great power..." concepts seamlessly. The Basic Playbooks, Special Playbooks, and Villian/Threat creation section seem to cover a very wide range of character and setting elements. I look forward to a more in depth reading of this one, and using it to build nasty, nasty villains to threaten the very world..